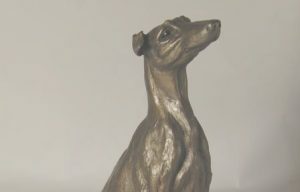 These Lurcher Sculptures make an ideal present for any one who loves lurchers or greyhounds. Would also make great prizes at dog shows etc. The small images show with the amazon links do not do justice to the sculptures themselves. For this reason I have included a larger picture of one of these sculputes to illustrate the beauty and artistry of the finished product. I am certain that anyone who has a long dog would love one of these as a present. I have to admit that they are one step above a pot dog and far more difficult to damage.